I seem to remember there was a tin streamliner manufactured by AF before WWII called the "Comet". I've only seen pictures of that...I don't know if it was an electric or mechanical set, or perhaps offered as both. This was a plastic-boilered version of the 350, plated in chrome. I've seen a few of these at meets...they seem to usually be in pretty beat-up condition. The chrome-plating didn't appear to adhere to the plastic very well. 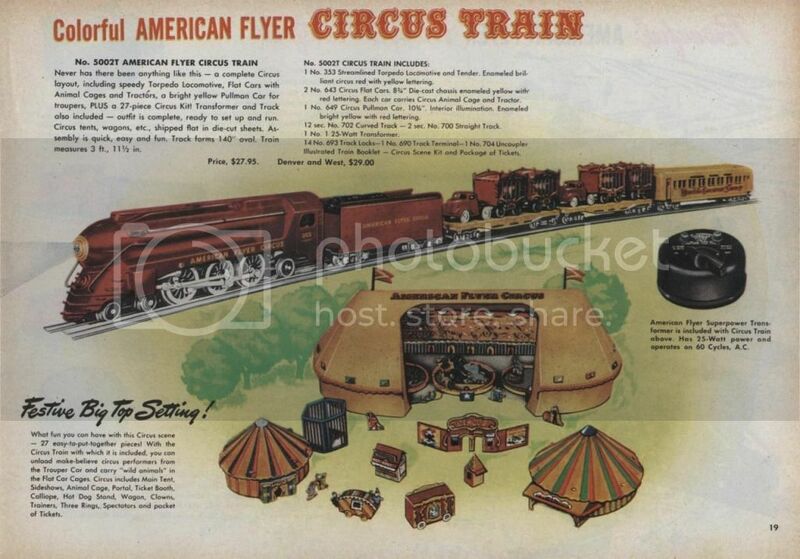 There is a red die-cast version of the 350 as well that was the locomotive on AF's S-gauge circus train. I might be thinking of the red 350. Thanks. A really nice train set for a lucky kid. Years ago I recall someone offering a reprint of the die-cut circus insert...should have jumped on that. Agreed, that would have been nice to have, even if you had to cut it out yourself. While intended for S-gauge, it's plenty wide enough to accommodate O-gauge. Heavy die-cast girders on a sheet-metal base. 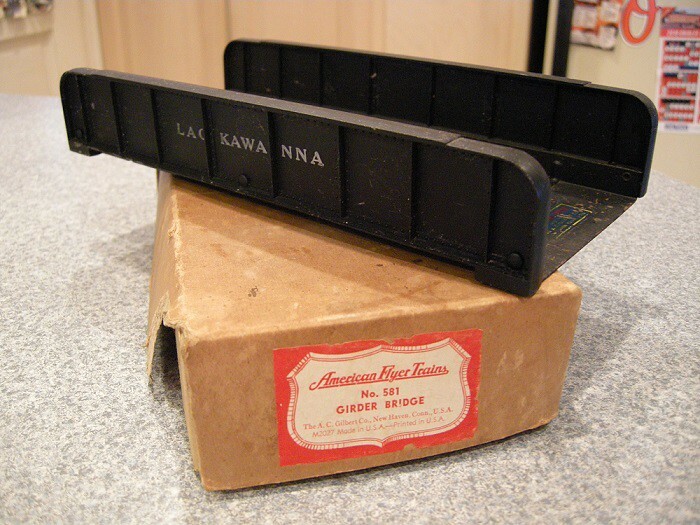 It has its original box, along with the inserts. I don't usually pay attention to such things, but in this case, it's kinda interesting.